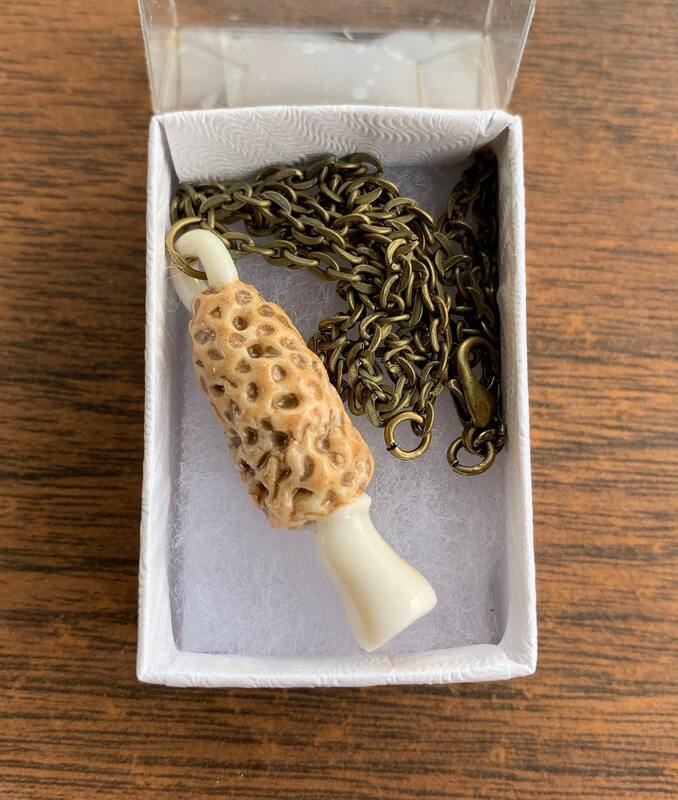 This is a hand built porcelain morel mushroom pendant, glazed with glossy white and satin beige glazes. The chain and findings are antique brass plated steel. 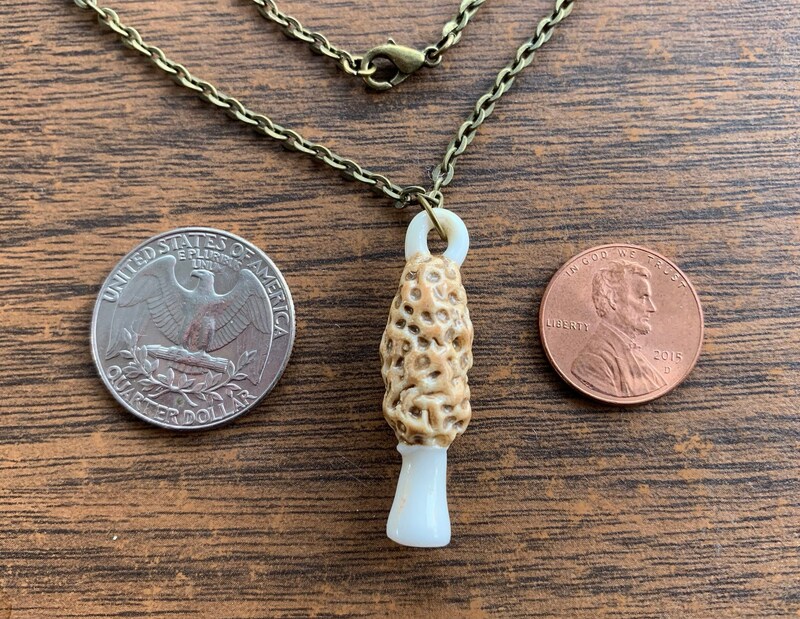 The ceramic portion of this piece measures approximately 1 1/2 inches tall and 3/8 inches wide. 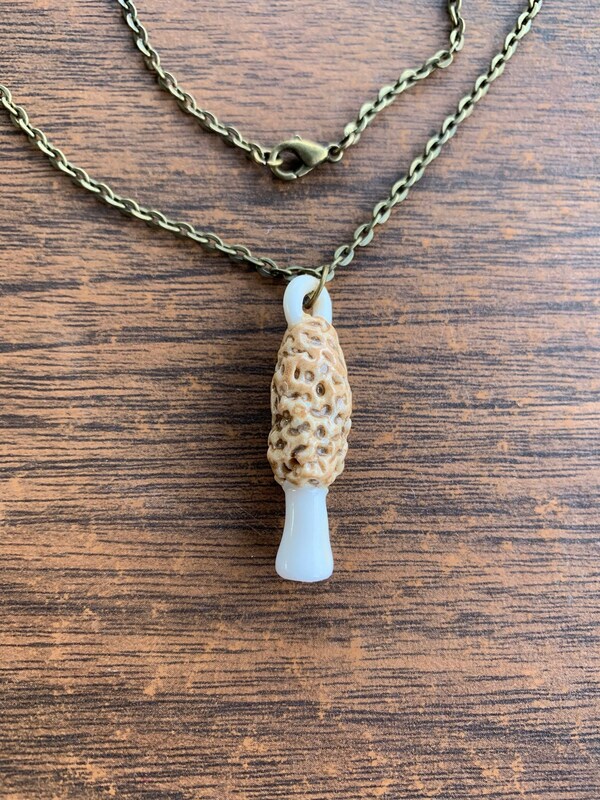 The chain is 16 inches long.